Gonzalez and Vogler received a Global Education Grant to support their participation and purchase of clinic supplies. 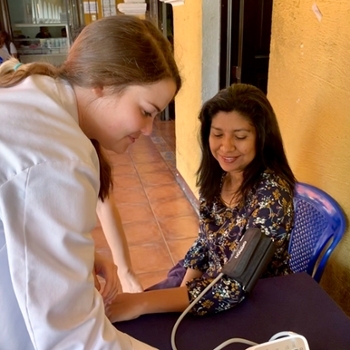 A significant amount of the APPE’s success was due to a partnership with Lissette Ortega, of Antigua , who facilitated medical Spanish tutoring through Spanish 2tor, and organized clinical activities with local Guatemalan partners. Photos: SIUE pharmacy student Ashley Riley conducts a blood pressure screening in Antigua. 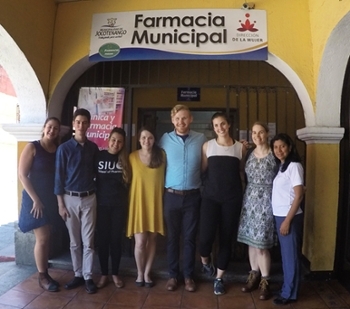 The SIUE clinic team stands with Lissette Ortega, their Guatemalan partner who coordinates student activities, including clinic work and Spanish lessons. (far right). (L-R) Dr. Misty Gonzalez, Carlos Pardo, Abbey Rodeghiero, Ashley Riley, David Felts, Nikolina Golob and Dr. Carrie Vogler. 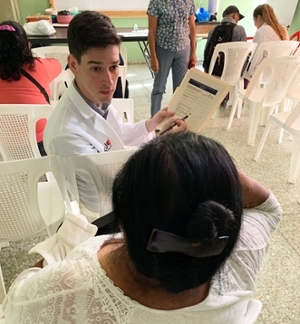 SIUE pharmacy student Carlos Pardo implemented depression screenings during the Guatemala APPE as part of his capstone project. 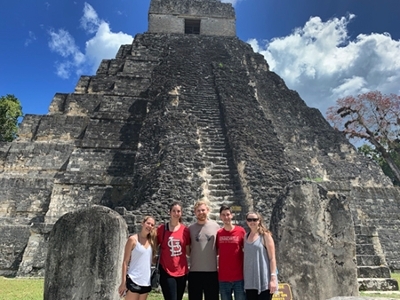 SIUE School of Pharmacy students traveled to the ancient Mayan city of Tikal during a weekend excursion. (L-R) Abbey Rodeghiero, Nikolina Golob, David Felts, Carlos Pardo and Ashley Riley.